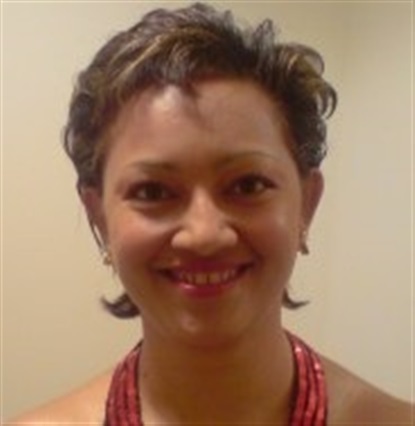 Welcome to Ask Jasmine's Kooma Medium page. From a young age Jasmine was naturally intuitive. Using her intuition and her passion to help people she acts as a catalyst to help you to have clarity. Too often life's circumstances can trouble you and that is when you need a helping hand and that is where Jasmine comes in. Jasmine herself has been through a transformational process in her life and this has given her strength to help others and also compassion and sensitivity to fully understand what you may be going through. Clairvoyant, astrology, medium, angel cards, healer, spiritual coach, runes and tarot cards. In one word...truth! After I make a connection with you, I will tell you what I see with genuine honesty and with clarity. I don't waste your time or money as I care about the people I come across. People tell me they feel better after speaking to me. From a young age I was naturally intuitive. My skills are handed down to me through my grandmother and great grandmother. Friends and family would ask me questions and I was accurate. I then studied Reiki and became a Reiki Master. I also studied the tarot and became a tarot master. I have a zest for all spiritual things and have experience with numerology and astrology. I have been through a transformational process in my life and this has given me empathic skills to helps others and also have compassion and sensitivity to fully understand what you may be going through. I have helped many people over 15 years. My passion for helping people as led me to do intuitive readings. My life calling is simply to empower has led me to do intuitive readings. My life is simply to empower the person to be the best they can be and to assist them through the difficult times. A problem shared is a problem halved. I am a Tarot Master, Reiki master. I have diplomas in energy healing. I am a personal development coach and I have studied numerology, astrology and have a plethora of oracle divination cards to enhance my readings. This with my natural psychic skills and guides. I had a dream and it came true. Also, I remember helping a client who was at a very low ebb and with my assistance she transformed her circumstances and I felt honoured to be part of that process. The company does not require readers to read false scripts and "rip off" their clients. This is important to me. Also, I want to connect to a wider network of people. On occasions, I sense spirits and will receive messages from departed loved ones. Jasmine, wow, where have you been. What can i say, you delivered my reading with such accuracy and detail. I loved every minute of it and I am looking forward to what's to come. Had a fantastic reading was able to pick up on things and how they are now with the man in my life and has told me what to expect which is pretty much what I had already thought might happen. Here is hoping her predictions for the near future will be right with this guy or as she said i will move on. Brilliant about the work stuff also got tag spot on and was able to describe what was happening there. Lovely upfront reader.